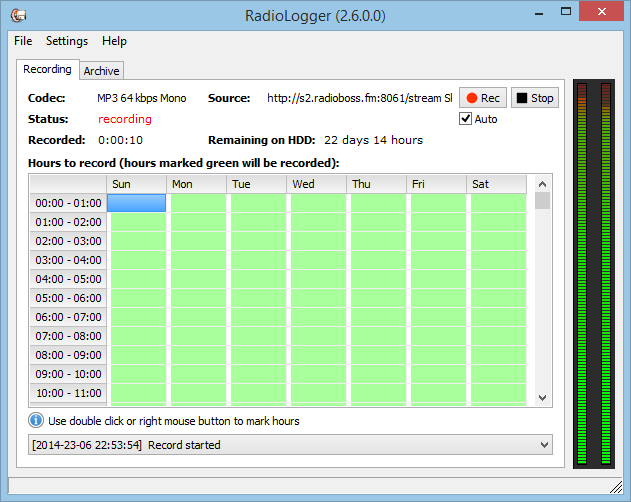 RadioLogger is the number one solution for recording and archiving your radio broadcasts. 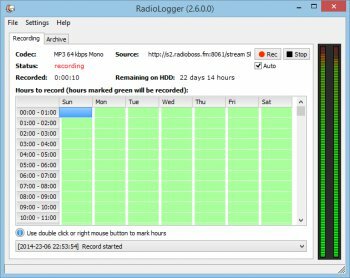 Keeping an archive of the more recent broadcasts can come in useful in a number of situations. For example, if you need to prove to a company that the advertising tracks that they have commissioned are being played at the correct times and frequencies, a radio archive can provide this proof.